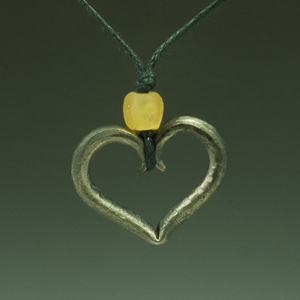 This delicate 1" heart necklace is made from forged steel and is on an adjustable black cotton cord. Bead is made from recycled glass and color accents vary. It can be worn long or as a choker. 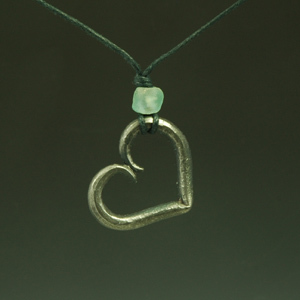 Necklace may be ordered with heart hanging askew or from center.